Small businesses throughout Massachusetts face the issue of delinquent paying customers. How a business handles this delinquency problem will greatly affect future cash flows. Many companies will attempt to collect the debt themselves. This is a good solution but when it is determined the customer will not be paying, hiring a Massachusetts collection agency is the right move. Selecting from top rated collection agencies can be a time consuming task, but we make it easy with matching your business with a Massachusetts debt collection agency. Here are some important details to consider when looking for a collection agency to hire. Experience– Using a debt collection agency in Massachusetts that has a proven track record and that has been in business for several years is essential. This shows that a collection agency is effective in collecting debt and they are trustworthy. A collection agency that has just started is much more risk compared to one that has been in business for many years. Effectiveness– The main goal is getting back the money a business is owed. Ask a collection agency what the typical collection success rates are. Many agencies will gladly tell you what exact number is. Furthermore, agencies can provide a detail estimate of success rates based on the type of business and how far past due the customers are. Feedback– Finding online reviews can be helpful to see what clients who were represented by collection agencies in Massachusetts are saying. In addition to reviews, asking for referrals from companies within the same industry that used the agency is a great way to gain insight into the businesses operations. Licensed– Verify the collection agency in MA is fully licensed to operate within the state. All collection agencies have to pay a fee to the state of Massachusetts before they can legally collect debt within the state. A collection agency without proper license could possibly put a business at risk if they are sued due to aggressive collection tactics. If a collection agency checks off those four items then it is likely the agency will provide excellent service for a business based in MA. Most collection agencies work on a contingency rate basis. This means the agency only gets paid after they have successfully collected the payment. This is the best way for a small business to hire a collection agency due to the fact no money is required upfront. A business that is already owed money does not want to spend more on the chance of getting paid. Let’s look at an example below from a Seafood Supplier Company who used a collection agency. Seafood Supplier Company has provided product to a Food Manufacturing LLC for a total of $12,000 that was never paid. Seafood Supplier Company hires a Boston collection agency that has a reputation for having the best debt collectors in Massachusetts. Seafood Supplier Company agrees to hire the Boston debt collection agency at 20% contingency rate. 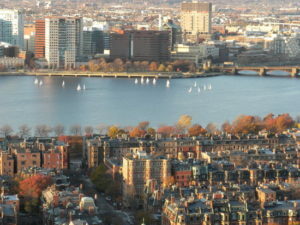 The collection agency in Boston MA works diligently over 7 weeks to collect on the payment from Food Manufacturing LLC. Finally, the company agrees to pay the full amount! Seafood Supplier Company receives a total of $9,600. The collection agency keeps the remaining $2,400. If for some reason the collection agencies in Boston were unable to collect the money owed, the company would of owed the agency zero. This provides a great incentive for the agency to work hard and get as much money as possible back to the client. 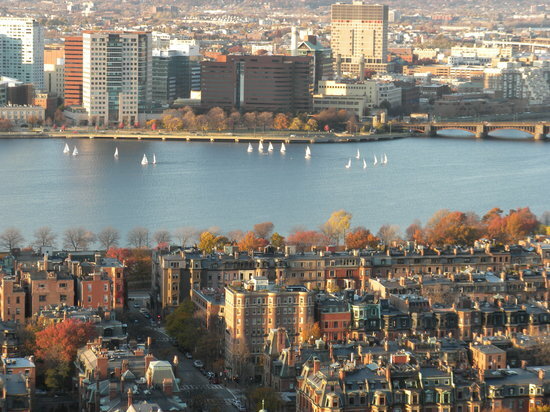 We take the hassle out of finding collection agencies in MA! Get a risk-free quote now!